Riiiiiiise from your grave! It's time for the 11th Season of Shocktober! For any of you that may have any ideas for our Shocktober month, please forward them to our Shocktober room on our community Discord! Should we have a swag bag with cool TomBob merchandise? What kinds of things would you like to see in yours? What would be valuable to you? We wouldn't want to clutter up your bag. Or maybe you want us to? Share your thoughts! What movies would you be interested in viewing at TomBobCon? If it were up to TomBob, it would be something from the 80s or 90s. Do you remember some of his favorites? What about yours? What kinds of panels should we offer? We can do specific video game consoles or rare Nintendo peripherals, guest speakers, gaming memories, stream history, livestreaming 101, favorite movies, etc.! Let us know some of your ideas! Topic: WELCOME TO TOMBOBCON 2017! Post a fun pick of your bed (optional to include yourself)! 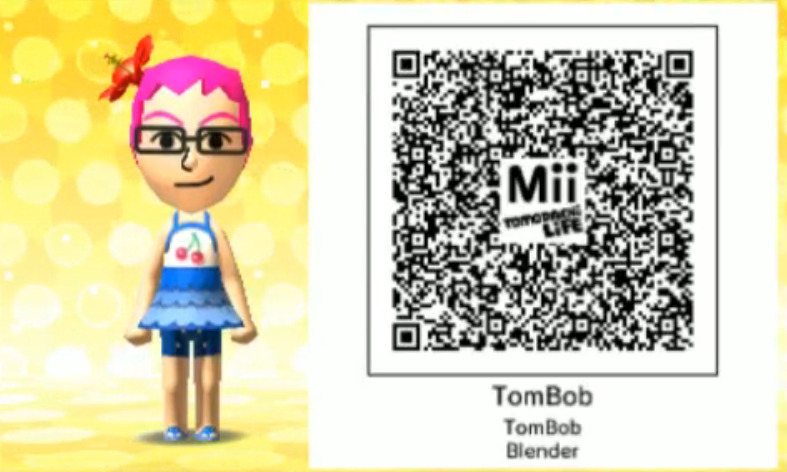 Do any of you have Tomodachi Life for your 3DS? If so, post your Mii QR code to begin your life journey in someone else's virtual reality! I will soon be starting my playthrough of Pokemon Y, and now is your opportunity to claim your pokemon! If I ever catch your pokemon in the game, it will be named after you. You may claim only ONE pokemon. It's super great to have you join us! I hope you like our show and community. If there was one video game song that you could claim as your "theme", what would it be? Share it with us! We got into the discussion of what we use to Push-to-Talk while we are co-hosting on Mumble. Some use video game controllers, others use a moue button or a space bar. What method do you use? Share it with us! See any text in video games from the stream that seem to have 'suggestive text'? Post your submission! Topic: Introducing Our Own Wikipedia Page! right now, we dot not have any frame/filesize limitations. yes, pixels. I'll go modify that for future reference.